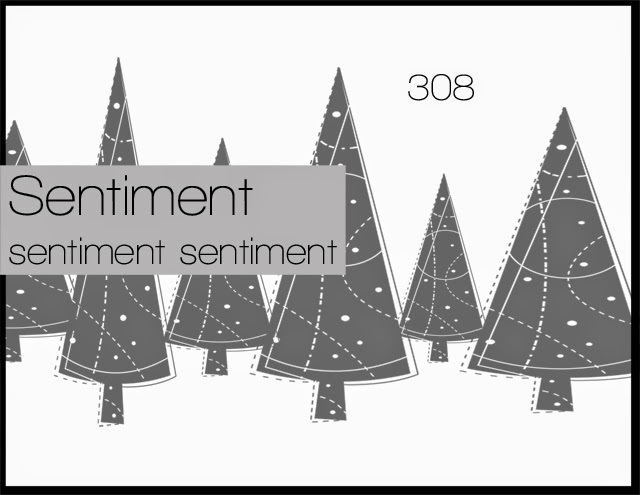 I decided to keep with the tree theme, although I turned my card into more of a scene. I started with tracing the landscape dies on the soft sky paper. 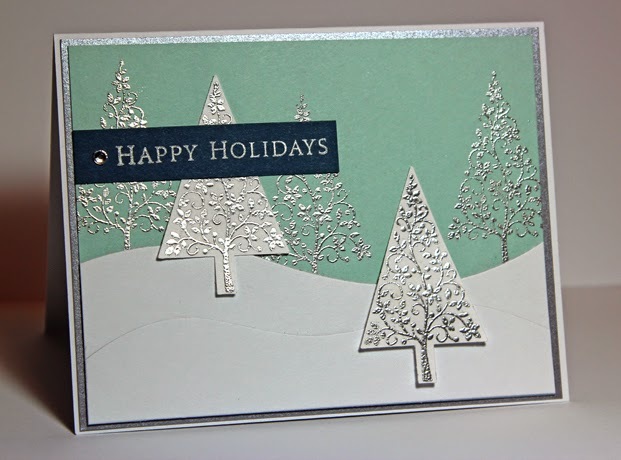 Next I stamped and embossed all 5 trees on the Soft Sky layer, so I would know where I wanted the popped up ones. Then, I added my snowy hills back onto the card. I stamped and embossed two more trees and punched those out. Those were added into the scene and the last touch was the greeting. Very elegant! I love the colours.